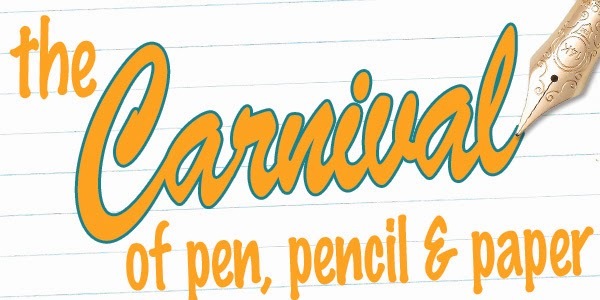 We are currently accepting links of fresh content to present on the Blog Carnival of Pen, Pencil and Paper that will be hosted on our blog on November 5th. Click here to submit your article. 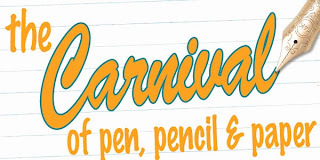 Please note that you must have a BlogCarnival log-in to submit an article, but if you want to by-pass that, leave a comment below with the link to your article and it will be submitted just the same. We've been host to the Blog Carnival of Pen, Pencil and Paper a few times now and have really enjoyed the congregation of content from all corners of the internet pen blogosphere. The Carnival is a great opportunity for bloggers to get their content seen by a wider audience with the possibility of gaining new readership. It's also a solid roundup of content for the pen enthusiast to digest, complete with product reviews, displays of pen geekery and all other pen ephemera. So, if you would like to contribute to this Carnival, please do so by November 3rd. If you are interested in reading the Carnival once it is published, subscribe to our blog or follow us on Facebook or Twitter.